The harbor will have entertainment available at all times for a variety of different groups. The walkways of the new development will be lined with restaurants, bars, and art spaces as well as residential units. Along with all the mixed-use buildings there will be a number of parks in varying scales. Large parks allow for venue space while smaller more intimate spaces allow for personal gatherings. 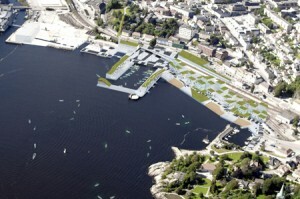 The Water Square will be how Larvik connects with other cities. 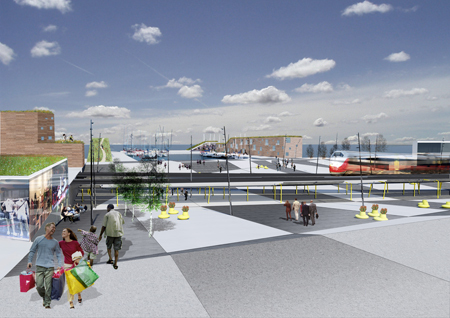 The marina will allow boats from all over the world to dock and use the city’s amenities. The harbor can also allow for numerous events, such as a sailing competition in the future. 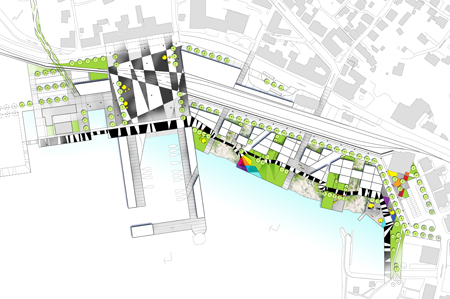 A green bridge connects two parts of the city and also acts as a floating park over the water. This bridge is wonderful because it acts as a connection between destinations as well as a destination itself.